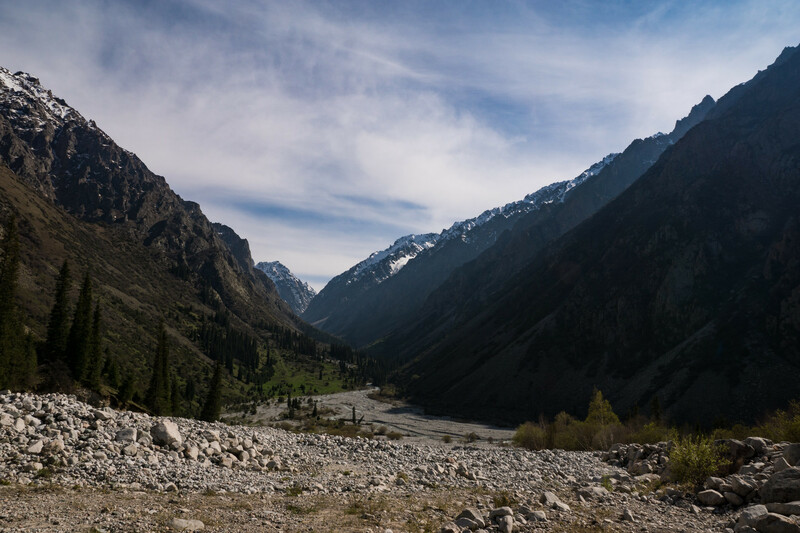 In 2016 I was lucky enough to visit the Central Asian country of Kyrgyzstan for work, and naturally I brought a camera with me to capture what I was able to in any time I had. As I was picked up from the airport at about 6.00am in the morning, having flown for five and a half hours from Istanbul via Turkish Airlines, I was asked what I knew about the country. I recalled the excellent Simon Reeves series “Meet the Stans” from 2003 (and I see he’s actually uploaded it to YouTube), which was perhaps my first introduction to a part of the world I honestly couldn’t even properly identify on a map. A country of around 6m, it is bordered to the north by the much larger Kazakhstan, Uzbekistan to the east, and by Tajikistan and China to the south. Neither Pakistan nor Afghanistan are too far away to the south either. By far the largest city is its capital in north, Bishkek, which is where I was heading. 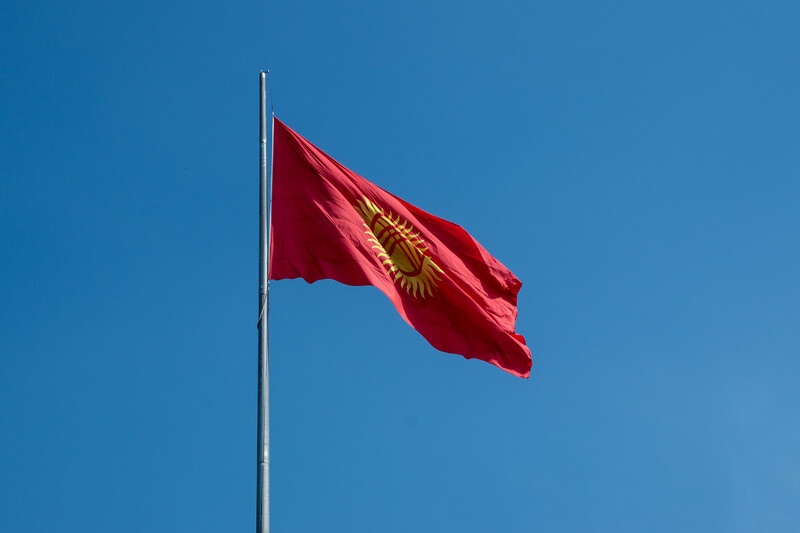 Historically, Kyrgyzstan was on the Silk Road, that great trading route from China to Istanbul and beyond. More recently, it had been a part of the Soviet Union, until its breakup in 1991 when it became independent. 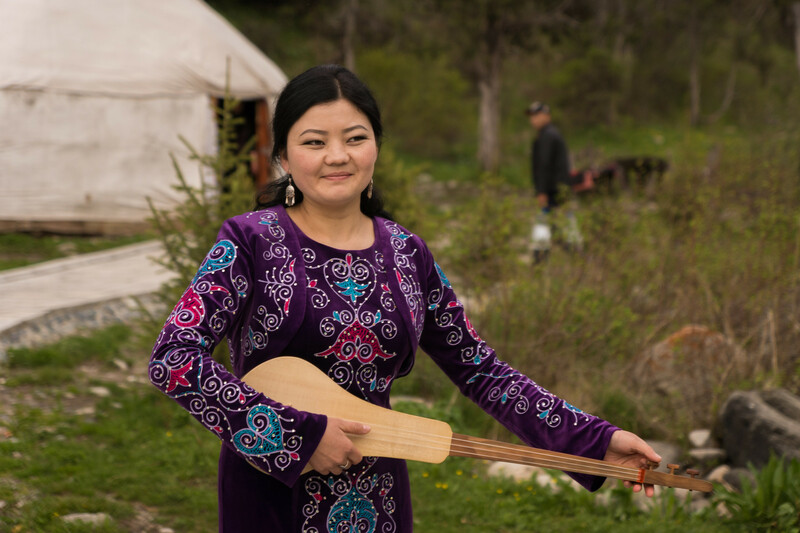 Ethnic Kyrgyz make up the majority of the population, although there is a significant minority of Russians remaining from Soviet times. 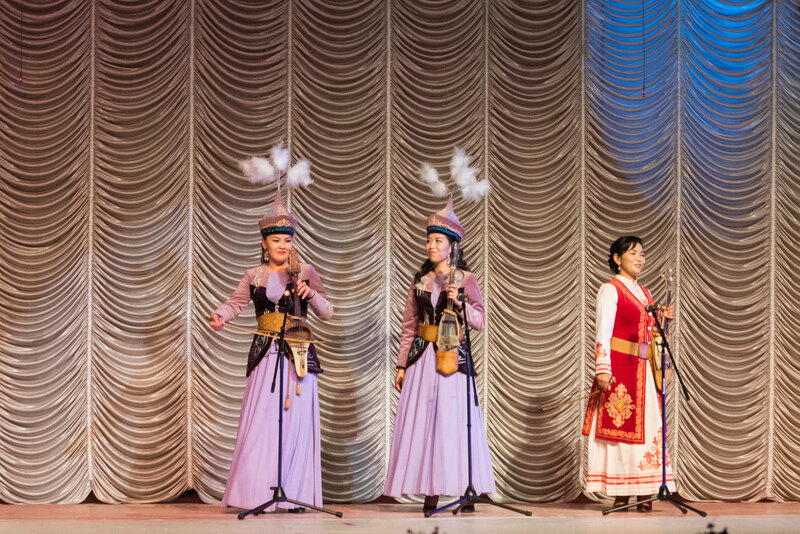 Kyrgyz is the main language, but Russian is also an official language. As a result, media options are fairly split between Kyrgyz language and perhaps better funded Russian language services. Since independence, there have been growing pains for the country as a democracy. These have included 2005’s “Tulip Revolution” and a further clash in 2010. From my brief time there, the country appears and proclaims to be much more independent than others in the region. 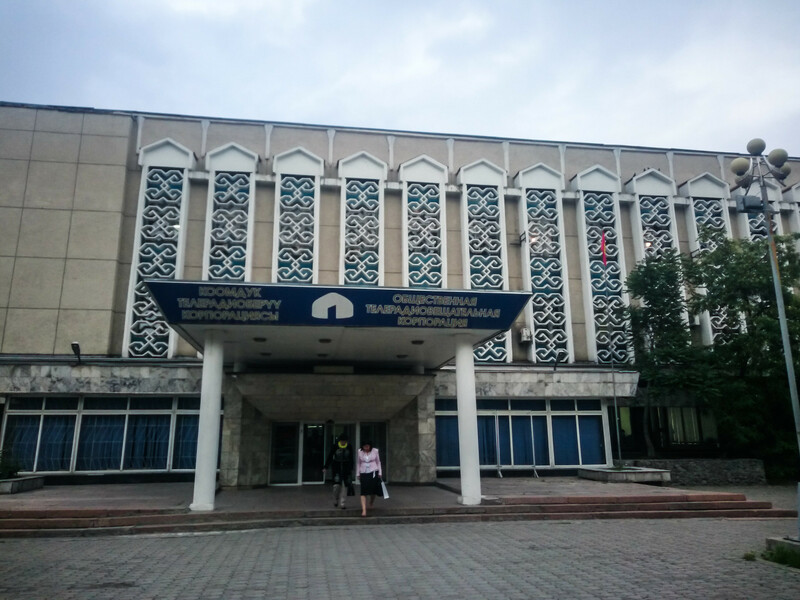 The internet is not blocked, and foreign broadcasters are widely available – including the BBC Kyrgyz service appearing on both national radio and television. British visitors don’t even need a visa to visit. 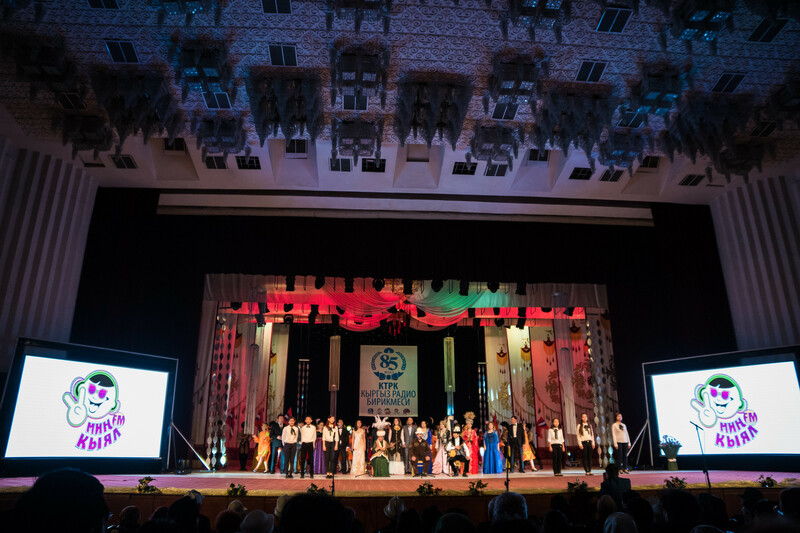 I was there to attend an International Media Forum as a guest of the Public Broadcasting Corporation of the Kyrgyz Republic (KTRK) who were celebrating their 85th birthday. That meant a formal conference, delivered in Russian. I had help from the excellent Dima, a translator, who was able to keep me abreast of what was being said, and answer my unending series of questions. I was due to give a talk on the future of radio to the forum. Fortunately, I’d had my speech translated in advance, with Dima reading the translation for me. I wasn’t the only international guest – others included Mahat from Kazakh Radio, and Tatiana from Moscow. There were also guests from Turkey. Beyond that, I was working alongside members of the BBC Kyrgyz team, including Gulnara and Venera, who are both based in London, but were out in Bishkek to give talks themselves. There was even a guest from the United Nations. The whole conference was actually being broadcast on live television, although quite how interested viewers would have been was unclear to me. I would certainly watch a televised radio conference on a channel like BBC Parliament, but the wider public? Anyway, the cameras had been packed away by the time I spoke. The liveliest discussion in the conference came after a lady from an advertising agency presented some listening figures from a recent piece of research that had measured radio listening. The large Russian commercial music service, Europa Plus, was shown to be very popular in some parts of the country. 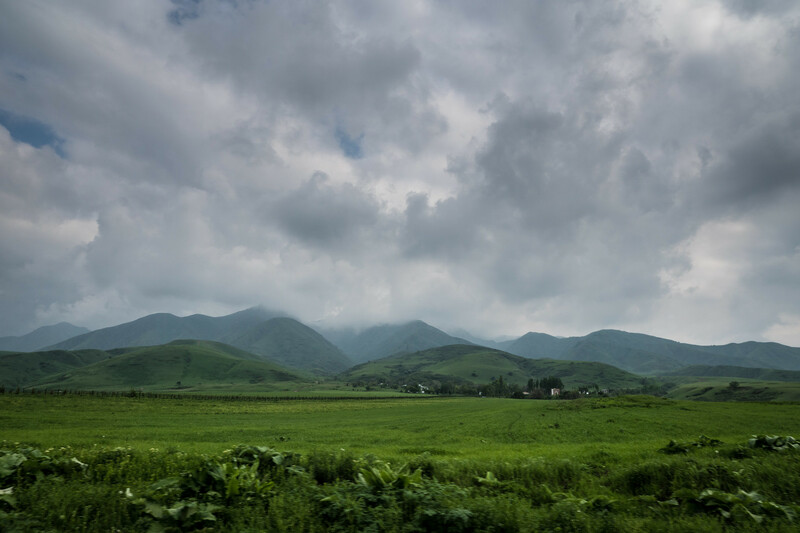 As the plane comes into Manas Airport, you can see that the geography of the country is a mix of the flat steppe and then the Tian Shan mountains rising gracefully above Bishkek. It means that wherever you are in the city, the mountains loom down on you. This isn’t something that many of us in the UK really get to experience – Fort William perhaps being an exception. You can probably imagine what an ex-Soviet city looks like, with many of the building seeming to age from the 50s, 60s and 70s. The city is relatively new, the local people having traditionally been nomadic, and so older buildings are relatively sparse. The city is laid out in grid patterns, and during rush hour, there is enough traffic to necessitate traffic police to marshal vehicles around. The streets are mostly wide, but as the country is not wealthy, the infrastructure is often in state of dilapidation. Road surfaces are often not great, although I believe the larger highways – the modern Silk Road routes taken by trucks – linking the regional cities are better. Driving is “interesting” with a great deal of overtaking happening, and plentiful use of horns. I noticed some traffic lights had countdowns indicating when they were going to turn green, which rather too imitated a grand prix start on public roads for my liking! There are plenty of smartphones in evidence – with adverts around the airport for the latest Galaxy S7. 4G seemed plentiful – although clearly roaming for me would have been prohibitive – but WiFi was prevalent with connectivity in the airport, hotel, and other venues. 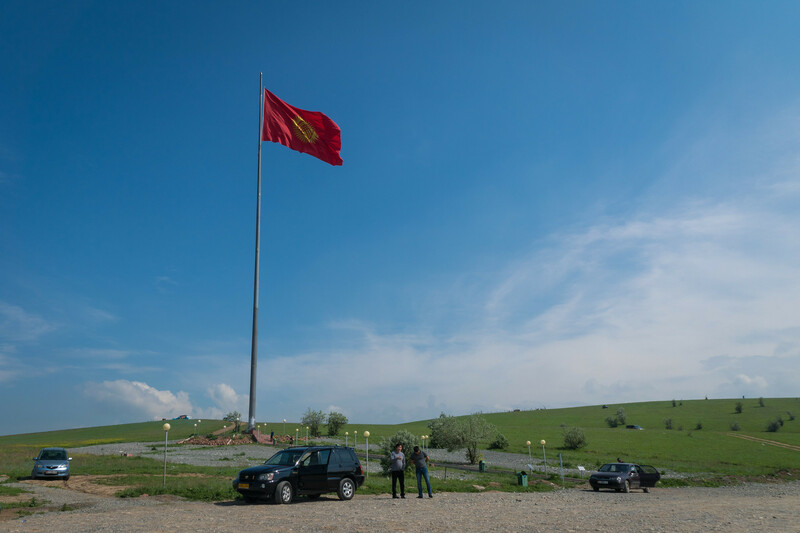 I was taken to see the massive flagpole that overlook Bishkek. It sits on a hill high above the city and has become quite a landmark of the country, rising 75m above the ground. You can see it from miles around. While we were up there, we tasted the delights of some Kyrgyz cognac, and ate some fresh cherries bought from a roadside stall. This is a nation of horses, and outside the centre of the city, you could see them everywhere; people riding them for fun or transport. I had heard about Buzkashi, or goat polo, a sport played by two teams on horseback with a dead goat acting as the “ball.” While I never got to witness this event myself, just before I left the country, they had coverage of a game on the sports TV channel and it looked like the toughest game I’ve ever seen. Riders and horses careered all over the place. Players must drop the carcass into a scoring circle, and in the game I saw, as often as not players followed the dead animal off their horses and into the circle themselves! In general, I think football is actually the most popular sport, although it seems that the Bundesliga is perhaps the most followed league. Bayern Munich’s league-winning final game was being shown on TV, and I saw at least one youth wearing a Bayern shirt. From the flagpole, we headed out to the Ata Beyit Memorial and Cemetry. 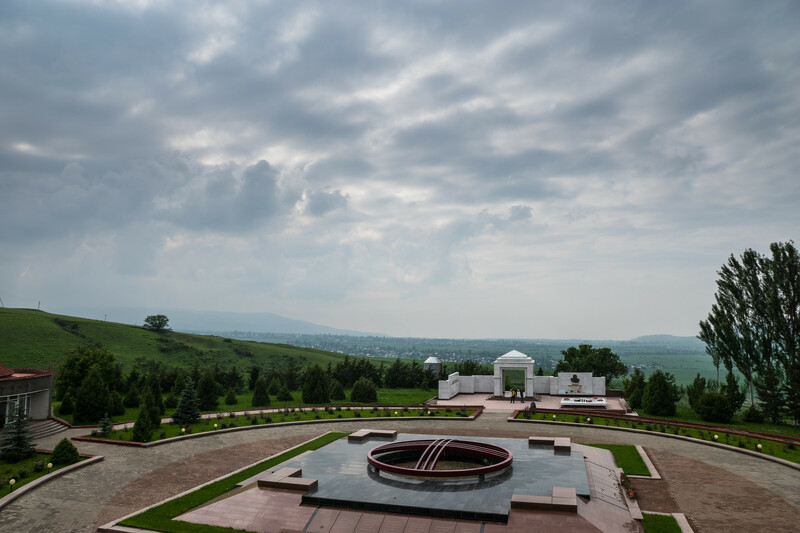 This is where statues and memorials have been built to remember some of the suffering the Kyrgyz people had endured in the past, and to recognise some of those who had died. That included those who were placed in gulags by Stalin, and those who died in more recent turbulent times when the government had been overthrown. It was very disturbing to see the graves of soldiers who were born many years after you were buried there. A small museum detailed some of these people – particularly the victims of Stalin. 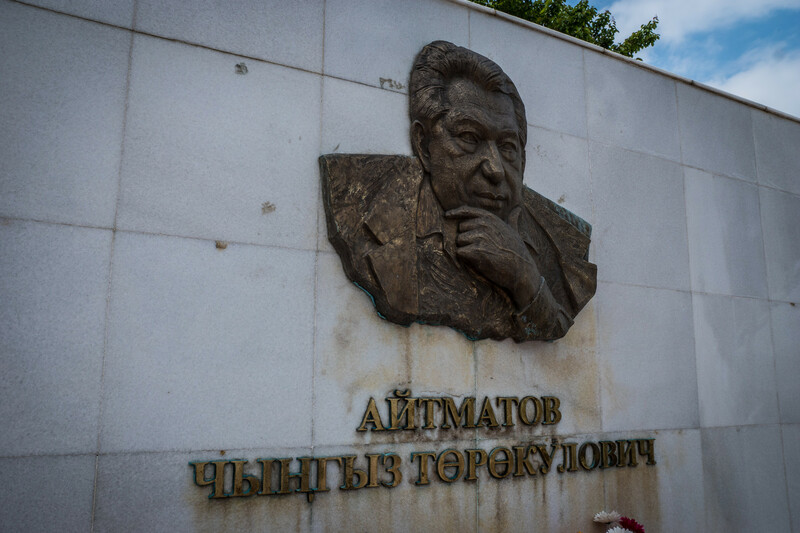 And there was also a memorial to Chinghiz Aitmatov, the Soviet and Kyrgyz writer who died in 2008 and is considered the greatest figure in Kyrgyz literature. I wasn’t sure what I was going to make of the local food, having been told that horse meat is very popular. In the event, it was mostly mutton that I was eating – lots and lots of it. Because we were guests, there were vast quantities of food brought out for us. Most meals seemed to begin with boorsoq, a fried unsweetened doughnut-tasting bread, that you could dip in cream. It’s very more-ish. Beyond that would be cold beef, perhaps spicy with vegetables and chilli. But really meals were about the lamb or mutton – soups that included a large piece of meat on the bone to flavour, along with potatoes and carrots. Then there were the large pieces of mutton, served on the bone in enormous quantities, often cooked for hours beforehand, so the meat was very tender, and served with sliced onions. 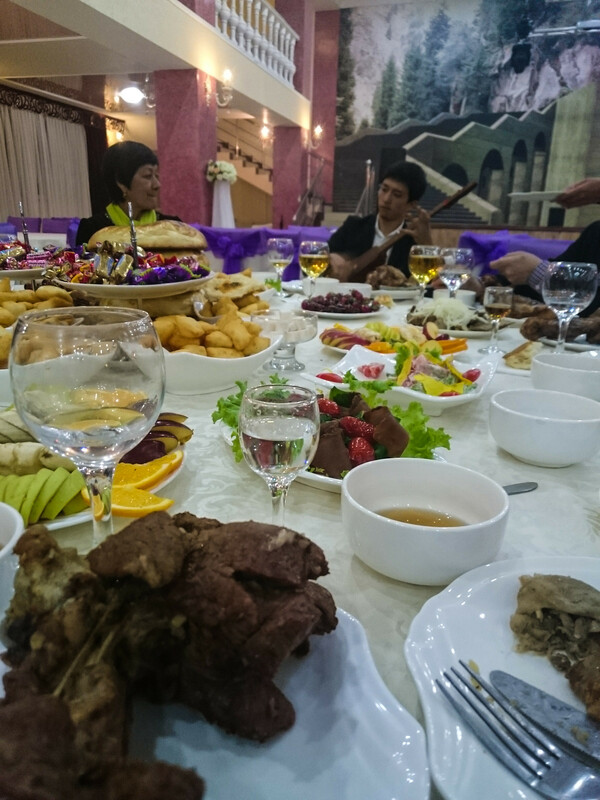 We were taken to one restaurant that was largely empty when we got there, but was the only place in Bishkek where the prepared the meat the authentic way. That is they dug a hole in the earth and cooked the meat with hot heated rocks. They’d cover the hole up and leave the meat to cook for many hours. This was particularly useful for a nomadic person who might then go off to hunt while their meal cooked in the ground. Of course no part of the animal is wasted, and so that did also mean meals made up of dishes made from the intestines and the brains of the animals, all served with a rich variety of salads. And dumplings are also very popular, as well as samsa with minced meat inside a flaky pastry covering and reminiscent of a Cornish Pasty. The vast quantities of food in these celebratory meals meant that it was quite the done thing for leftovers to be gathered up into plastic bags and taken home with guests. I couldn’t really bring a leg of lamb back into the UK (it’s banned), so the BBC office in Bishkek had quite a feast the following day. I was amused to notice one restaurant using Morrisons carriers to bag up their meat! I would guess that following the changes in chargeable carriers in English supermarkets from the start of this year, pre-printed bags no longer needed have been sold on to middle men and from there ended up in Central Asia! 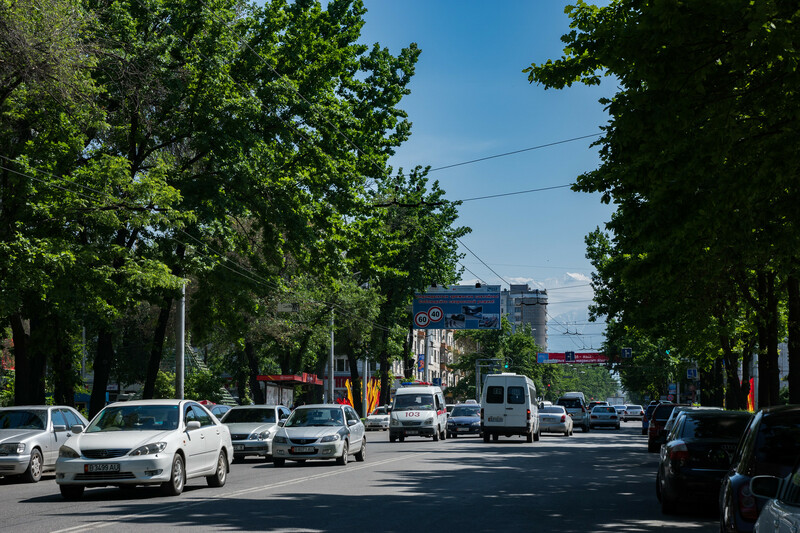 The weather in Bishkek when I visited in early May was in the low 20s, but I was told that it was cold for the time of year and normally the temperature would be around 30 degrees. In the mid-summer, the city tends to be a very warm 40 degrees, although without the humidity that we’d get in the UK. That said, the locals are able to escape the heat by heading into the cooler air of the mountains. After our conference, I was keen to visit the KTRK studios which are a large Soviet-built complex containing both radio and TV services. KTRK has a number of services offering different kinds of output from classical music, to dramas, popular music and even a kids radio channel. To celebrate the Epic of Manas, one station was broadcasting non-stop for two days and nights, a continuous Manas reading. 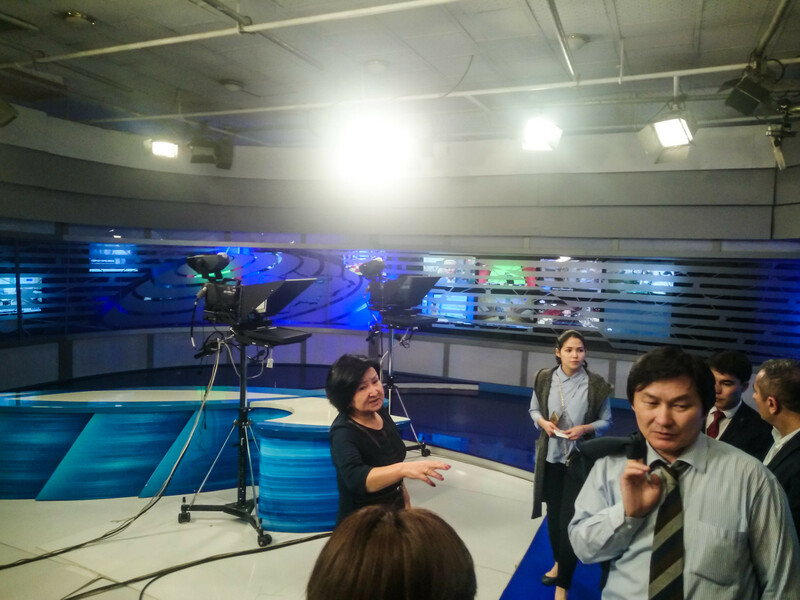 A team of about six readers were taking it in turns to do two hour stints on-air. The writing is very much like a poem, and that’s how it was delivered. At the time we visited, they had one more night to go, so even with a relay system, they must have been very tired. 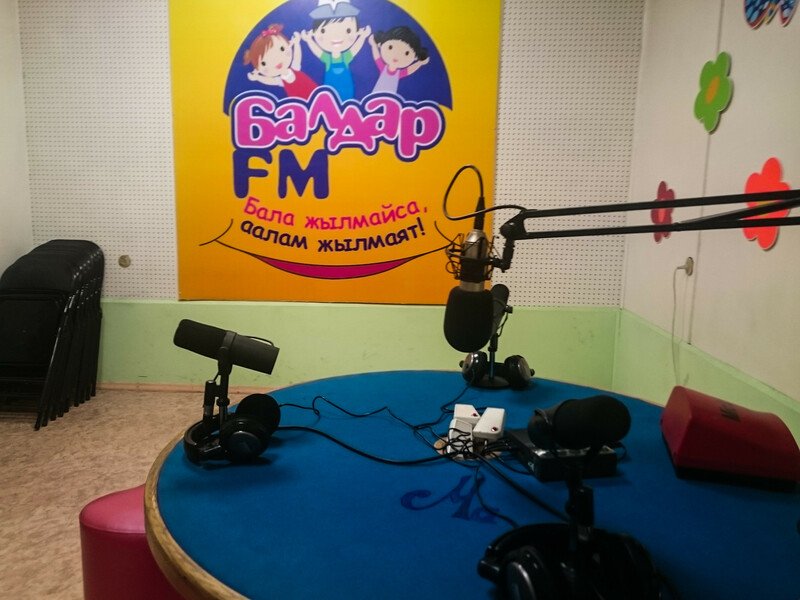 I was taken with their kids’ channel, which included small seats for children themselves to present programmes in a nice colourful studio. Elsewhere there were large studios for recording music – ones that easily matched the scale of somewhere like Abbey Road. We also saw some TV studios including one that had a set built to look like a court scene, and another used for the breakfast show. The most spectacular was a recently rebuilt news studio that looked as good as any news studio in the world. I noticed that the sports channel was showing World Snooker from Sheffield – featuring a match with Ding Junhui that I’d watched back home a few days earlier. It’s clear that a lot of countries have a political interest in Kyrgyzstan. Russia is the obvious one, with trading strength coming through Kyrgyzstan’s membership of the Eurasian Economic Union, as well as its media interests. But Turkey is also an interested party – building a university that offers free tuition including the teaching Turkish. 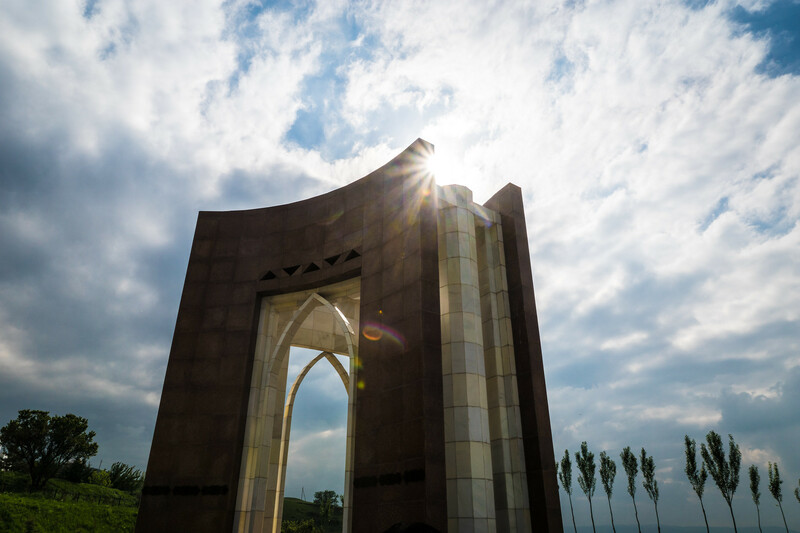 The American University of Central Asia is a brand new building offering state of the art facilities from students across the region. It’s part funded by the US Government and billionaire George Soros. Meanwhile, the country borders China, who obviously also have interests. On my final day in Bishkek, after perhaps one too many vodkas the night before (local vodka of course! ), I was due to attend a big birthday celebration concert. This began with the story of the KTRK told through dance, video and audio. Then followed some speeches, of which I was possibly the least interesting for the audience. 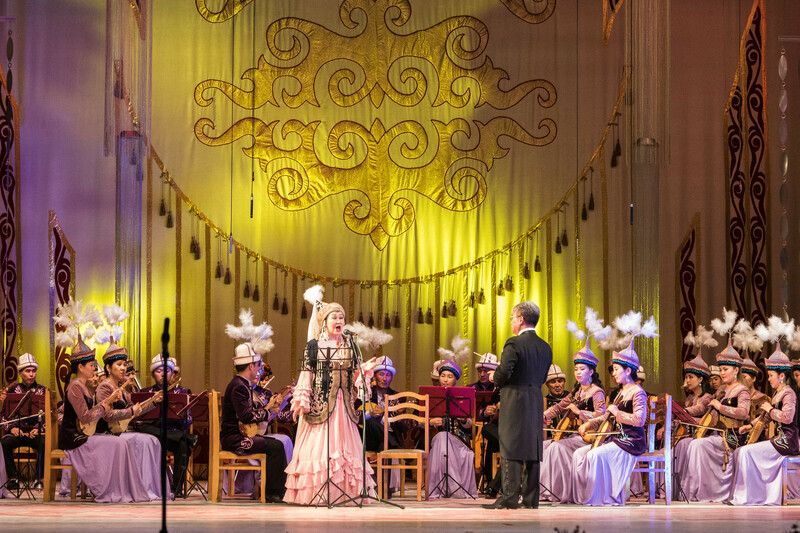 I was the only person not speaking Kyrgyz, and although Gulnara was dutifully translating I suspect most people were there for what was to come. I also handed over my gift. Now the BBC has a strict policy on gifts – which is to say that a combination of the bribery act and public money means that resources are tight. BBC Worldwide provides a few things like USB chargers and notebooks, but none of those were deemed good enough. In the end, because I was told that something that showed London would be appropriate, I presented one of my own photos with some congratulatory text at the bottom, printed and framed in Snappy Snaps. Now it must be said, after the speeches, I thought things would wrap up. But from my time on the stage, I could hear young children backstage and was a bit confused. That was because things weren’t close to over. We now had a series of songs, dances, arias and ballets, each tied to one of KTRK’s services. Undoubtedly the most popular performers were the very small children, all dressed up in their finery. Did I mention that the whole thing was being broadcast on television? 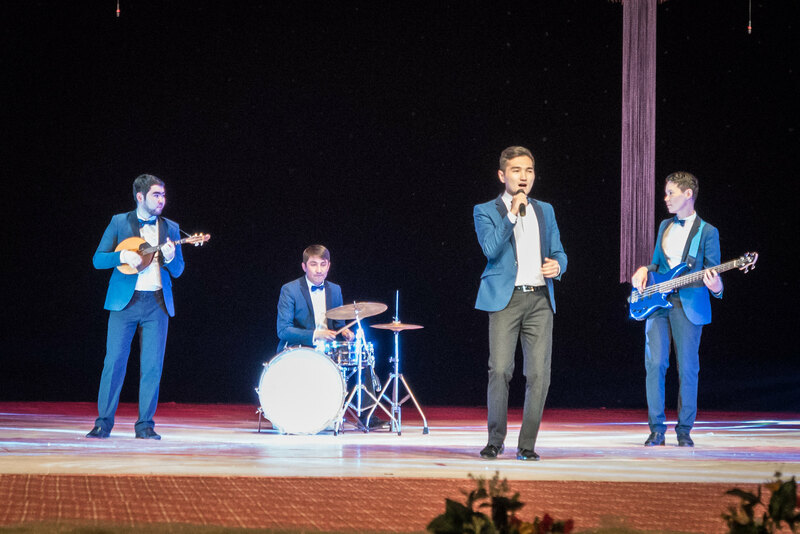 A multi-camera crew was again in operation, covering the whole concert for either live or recorded playback on Kyrgyz television. But it was all entertaining stuff, and you never quite knew what would be next up. I would estimate that there were close to 1,000 people backstage, such was the scale of this concert which must have taken many weeks to organise. You certainly could feel the influence of different regions, from near Eastern countries through to K-Pop. My final afternoon in Bishkek saw me seeing farewell to my host from KTRK, Zarema, and heading off with a party into the Ala Archa National Park. 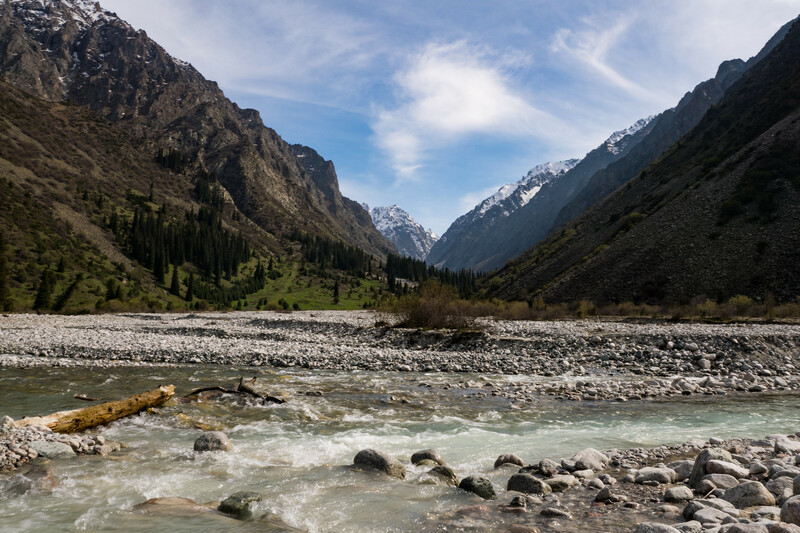 This is about 20km from the centre of Bishkek, and at the end of a road that rises slowly into the Tian Shan mountains. As we followed the valley road upwards, on a slight but noticeable incline, we could see the glaciers high up among the peaks. Many of the peaks are at 4,500m or above, with the highest rising to over 7,400m. To put this in perspective, Ben Nevis, the UK’s highest peak is 1,345m and Everest is 8,848m. These are some seriously high mountains. That said, I’m told that there are relatively easy paths up to some of the 4,500m peaks, and you do start at 2,000m. We were dropped off at the car park, and followed the main path in. 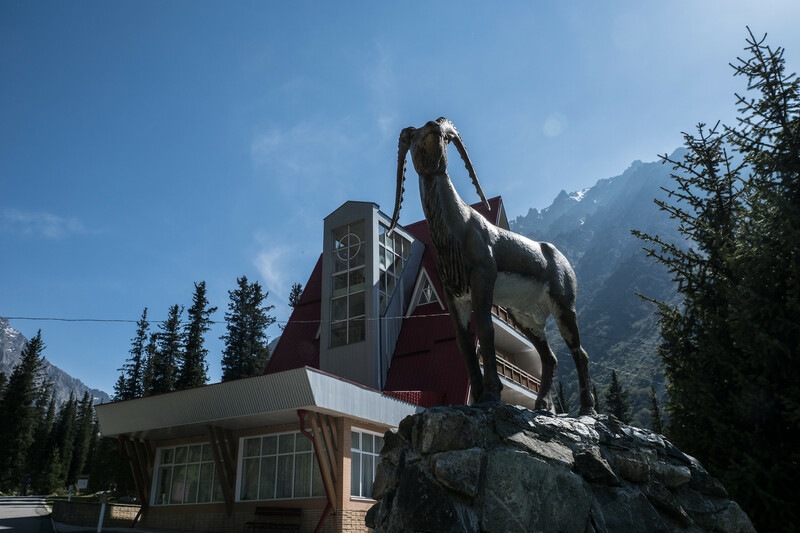 An Alpine-style hotel sat near the entrance, as did a pair of yurts, or boz üy as they are known locally. A mixed group is never going to walk at the same pace, I ended up storming ahead with Venera who regularly visited this park with her family each summer. We’d lost the rest of the group when the valley opened up to our right, and we decided to loop around to our right and rejoin the main path. This turned out to be harder than we’d thought, and there was no obvious path leading back around. We found a dry river bed – the melt not having properly begun yet – and had to fight our way through the undergrowth for perhaps an hour before we finally got back on the path and returned to the boz üy where our party was waiting for us with another meal. It was lovely to sit inside one of these traditional structures, and while some of the manufacturing techniques have changed over the centuries, I was told that they aren’t just for tourists, and particularly in the rural areas of Kyrgyzstan, farmers used them on the higher plains in the summer to tend their flocks, bringing their animals down for the winter when they lived in more permanent structures. I couldn’t help thinking of The Sherpherd’s Life which I’d recently read – although farmers in the lakes may let their sheep higher into the hills, they don’t also move upwards. 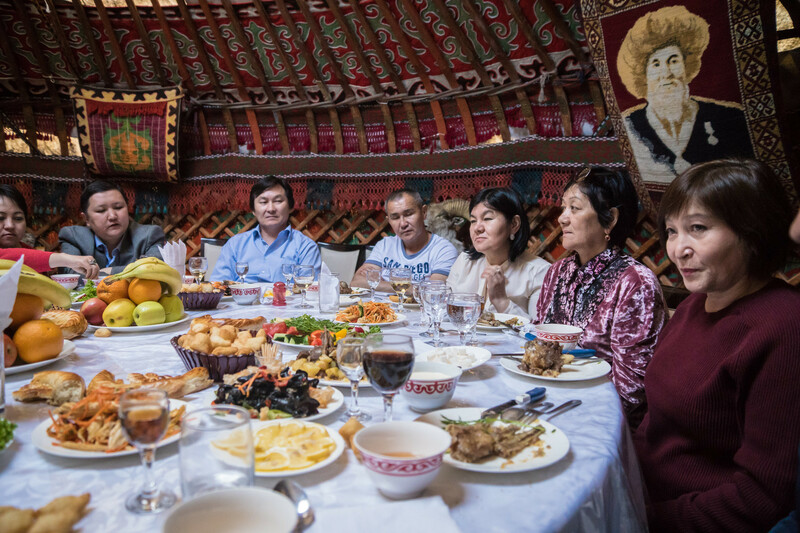 One part of Kyrgyz, and clearly Central Asian culture, is that of toasting properly, and I’d had to learn it pretty quickly. It’s a serious business, standing up and toasting your colleagues at the table. Now, as our visit neared its end, the speeches were even bigger, with others standing up and speaking off the cuff for five minutes or more! Then I was asked to sing a song. No. This was serious. I had to sing a song. My mind went blank. Someone said, “What about The Beatles?” Well, yes, but I can’t honestly say I know the words to any off the top of my head. I had a go at Yesterday, but failed miserably. The panic probably didn’t help. “If I could get the lyrics…” I murmered. But it was too late. At that point, I fished my phone out, sitting in this boz üy, high in the mountains and… found open WiFi. Seemingly it was coming from the nearby hotel. Then came a vague memory of something I’d read somewhere. A song that everyone could sing if they ever needed to sing a song in foreign climes. It had been mentioned in a column by the late, great Miles Kington in The Independent years earlier. Indeed in the story related by Kington, his friend had printed out the words and had them permanently in the back of his wallet for just such an occasion. While Wikipedia furnished me with the words, and I was ready to go now, I’d missed my moment. What a failure! 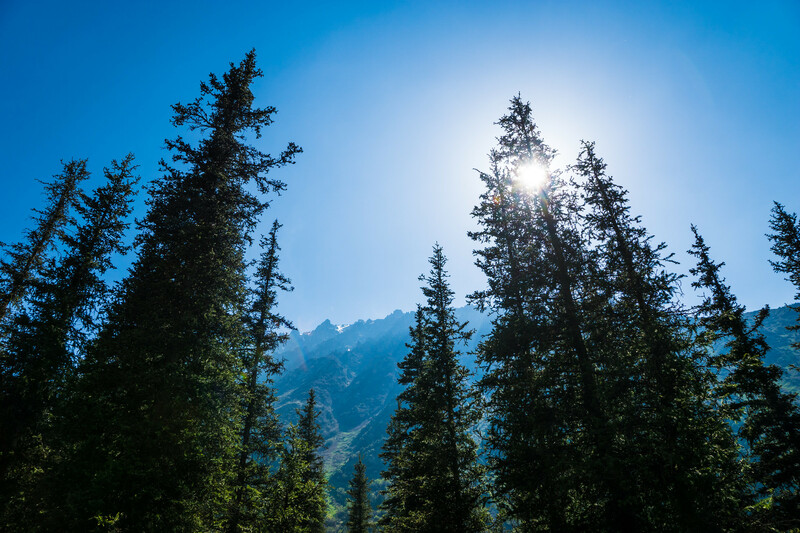 It seems that tourism, and especially the trekking and outdoors industry, are growth areas in Kyrgyzstan. 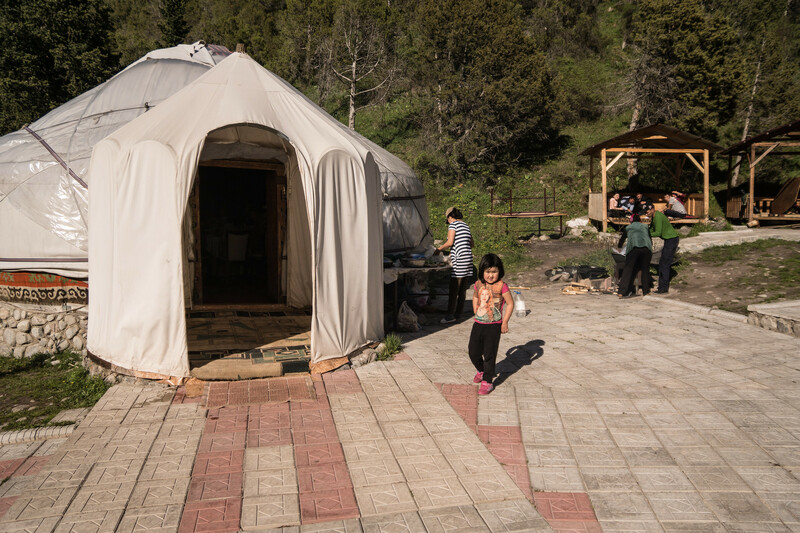 My translator had mentioned the Trekking Union of Kyrgyzstan as doing good excursions, and there were certainly a number of Europeans on the plane home who looked like they’d been out hiking for a week or more. Skiing is also taking off, with some quite high-end heli-skiing options. I think that when I return to this part of the world, it will be to try some of these outdoor escapes. I saw a few cyclists around – usually on mountain bikes rather than road ones. Horse riding, and rafting are also options. I also need to visit the Issyk-Kul (icicle) Lake – an enormous lake in the north-east of the country that’s more than 700m deep and is actually saline. It’s supposed to be very beautiful and much like an inland sea. My only issue with the return was that the flight left at 3.25 in the morning, and in retrospect, only leaving an hour and twenty minutes to change at Istanbul was cutting it far too fine. Fortunately I had hand-luggage only, but I nevertheless had to literally run through the airport boarding my London plane in something of a sweat. 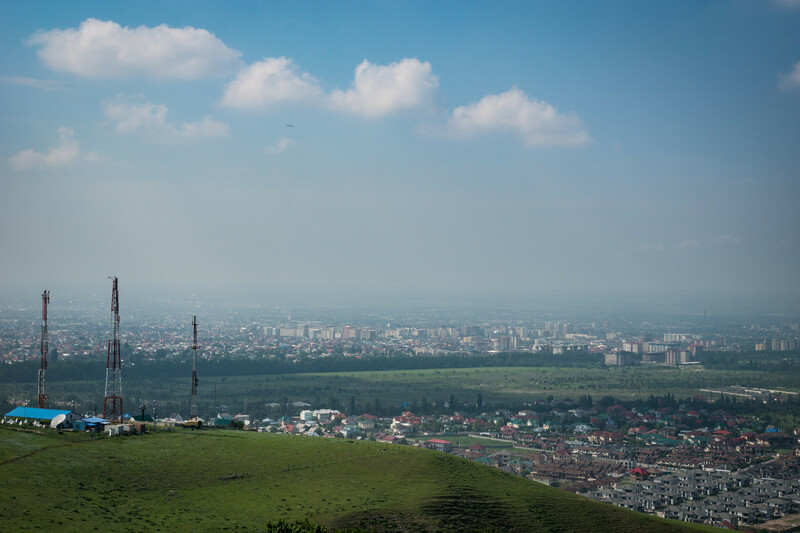 Given the time it takes to reach Bishkek, flights are pretty cheap, so it’s certainly an achievable holiday destination. I really do hope to return and explore more of this fascinating country. I’ve only managed to include a few of my photos on this page, so see the rest of my photos on Flickr.